Hello everyone and welcome to CottageCutz by The Scrapping Cottage Sneak Peek Day 2. This is the last Sneak Peek so be sure to come back tomorrow to seen the entire project. We are super EXCITED to share with you projects using some of the CottageCutz dies and stamps from a special release called "Homemade Christmas Gift Set". There are 21 universal dies and 7 clear stamps in this box giftset. I have to admit that when I opened this up I was totally WOWed by what is included. The release is tomorrow Sunday September 8th for the new Homemade Christmas Gift Set box. On Sunday all designers will reveal the whole project for you. You are just going to fall in love with these dies. Thank you for joining us today for Sneak Peek Day 2 with the CottageCutz DT. Please be sure to join us tomorrow September 8 for the reveal! SURPRISE!!!! Please be sure to follow the link to The CottageCutz Blog. Leave a comment all three days and you will be eligible for a prize drawing of a Gift Certificate to use to build up that CottageCutz Die collection of yours at The Scrapping Cottage. So go now-don't delay and leave your comment!!! What a sneak peek cutie. I'm off to the blog to leave a comment. 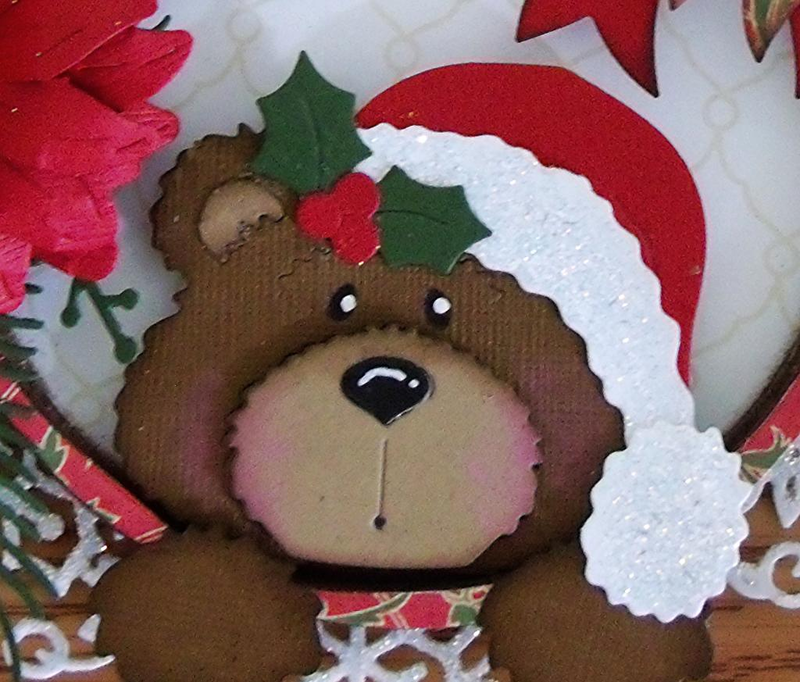 That little Christmas bear is adorable!! Such a sweet bear. I can bearly wait to see the rest of the set. I love this ornament, it is adoable.